How big is ComeOn! Poker? Being part of a network that allows you access to the American market is always an enticing proposition. Indeed, thanks to ties with Cake Network you can go fishing in a pond stocked with more than 3,000 players. 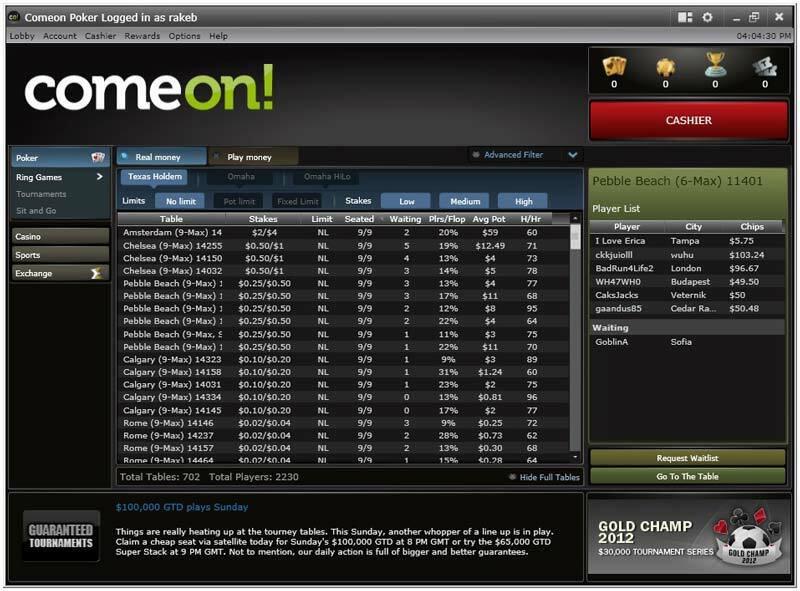 If 33% rakeback for all players is not enough then a guaranteed $250,000 in monthly prizes through ComeOn! Poker's Gold Chip system will persuade you to start taking your bankroll to the next level. Update – Rakeback.com has learnt from an inside source that ComeOn! will close its poker room on Feb 1st, 2015, leaving only its casino and sportsbook platforms. 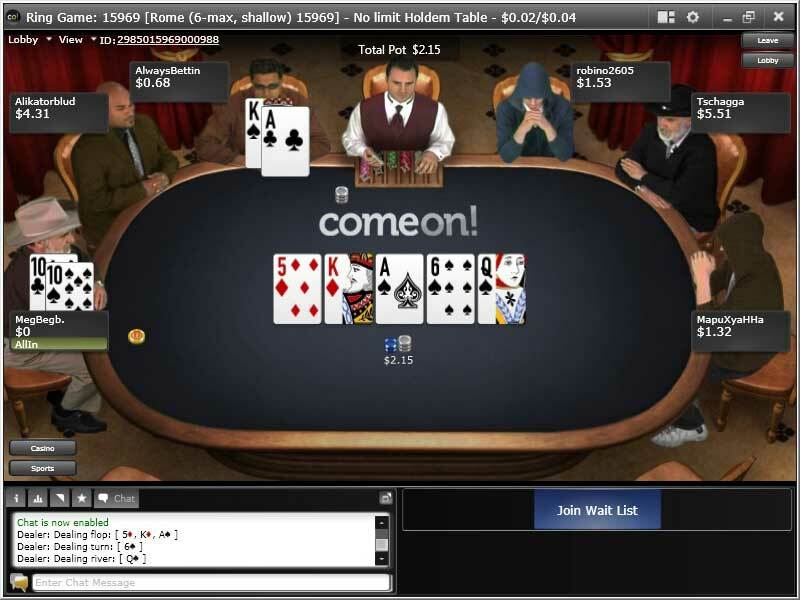 ComeOn Poker offers 33% rakeback, but does not currently accept U.S. players. 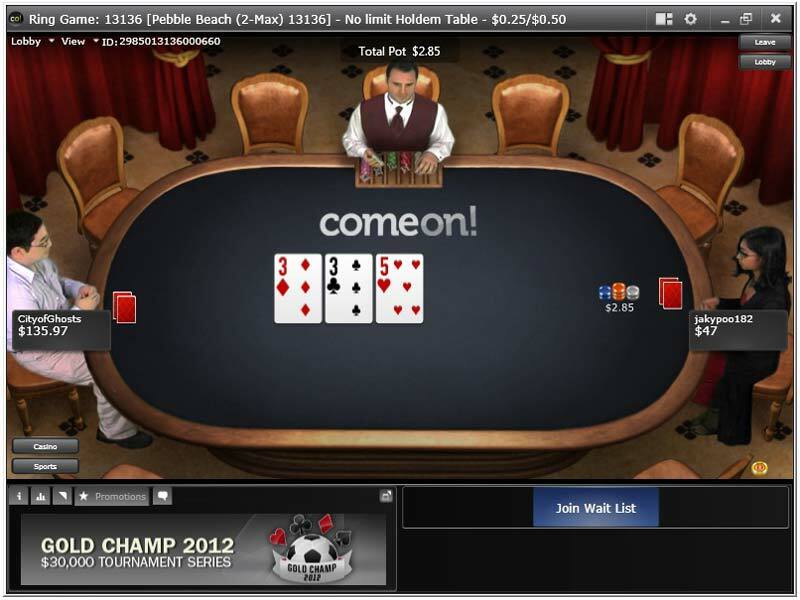 ComeOn Poker rakeback is a flat 33% of all real money rake paid on ComeOn Poker. If you pay $100 in rake between your cash games and tournament entry fees, you’ll get $33 back for your efforts. We recommend that you don’t deal with the site’s Gold rewards program; any time you exchange gold chips or cards the benefit you receive is deducted from your rakeback payments. The highest possible ComeOn Poker rakeback is what you’ll receive without doing anything special. 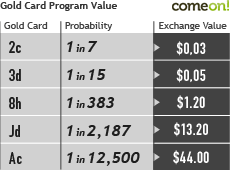 In addition to 33% rakeback, new players at ComeOn! 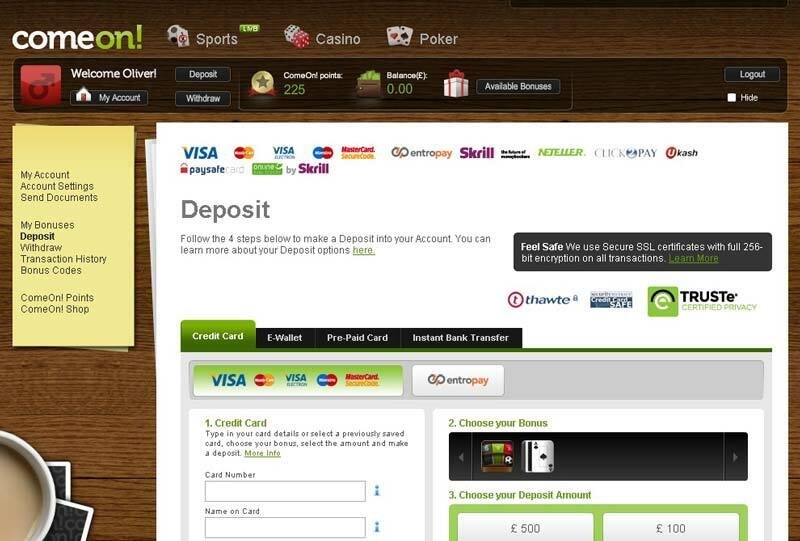 Poker receive a 110% first deposit bonus of up to $600 by using the bonus code RAKEBACK. Payments due for ComeOn Poker rakeback are made once a week. Players are paid each Friday, and receive 33% of the rake they paid to the site between the previous Wednesday through Tuesday period of time (the Wednesday and Thursday closest to payment are pushed to the following week). Please note players must rake a minimum of $1 per week in order to receive rakeback payments. Over $7 million in monthly guaranteed prize pool tournaments. ComeOn! Poker is running MONEY RAIN FINAL every month which is a max 30 players tournament with $2.400 gtd prizepool. You can qualify daily through the popular MONEY RAIN FREEROLL to secure your seat. Players signing up through Rakeback.com with Bonus Code RAKEBACK get 33% ComeOn! Poker rakeback, sign-up bonus, access to promotions, and daily updated Rake Tracking.